It's another moment from Glo Nigeria to sponsor lucky winner to Russia, we know Glo to be one of the strong Nigeria network provider and they've gone so far giving many user awards and compensate bonus. So if you're aiming to travel and never know the route then it's time to hijack this opportunity. 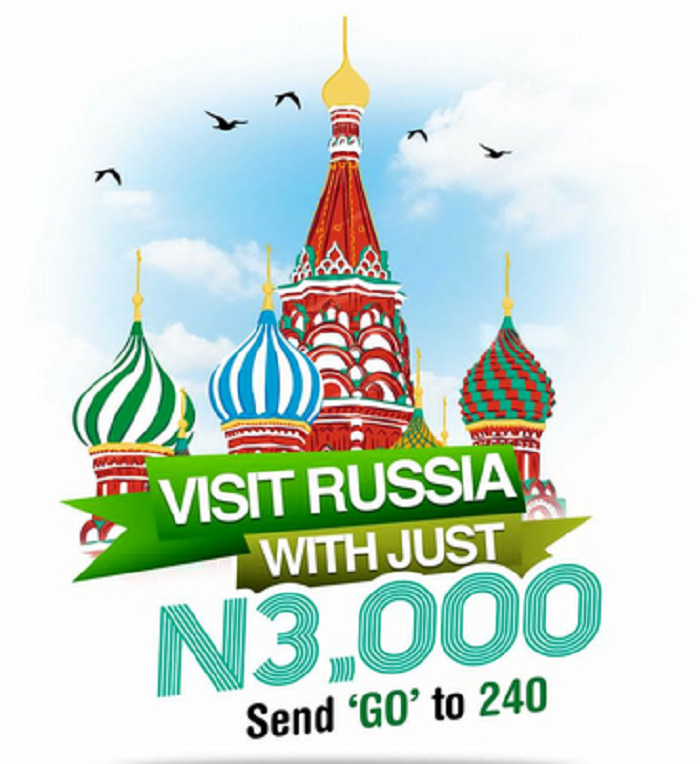 Glo want to use this platform to sponsor 22 lucky winner to have a tour to Russia. The criteria isn't tedious, you are required to use a minimum of N3,000 on voice or N5,000 on voice and data to be qualify for the draw. So, the higher your usage , the more the chances of winning. You'd going to send GO to 240 as text message and Glo network is going to send you message if you're the winner. Note: The offer runs from may 16th to July 8th,2018...... This is absolutely cool, you can seek the opportunity though it look somehow expensive but you get complement in return.